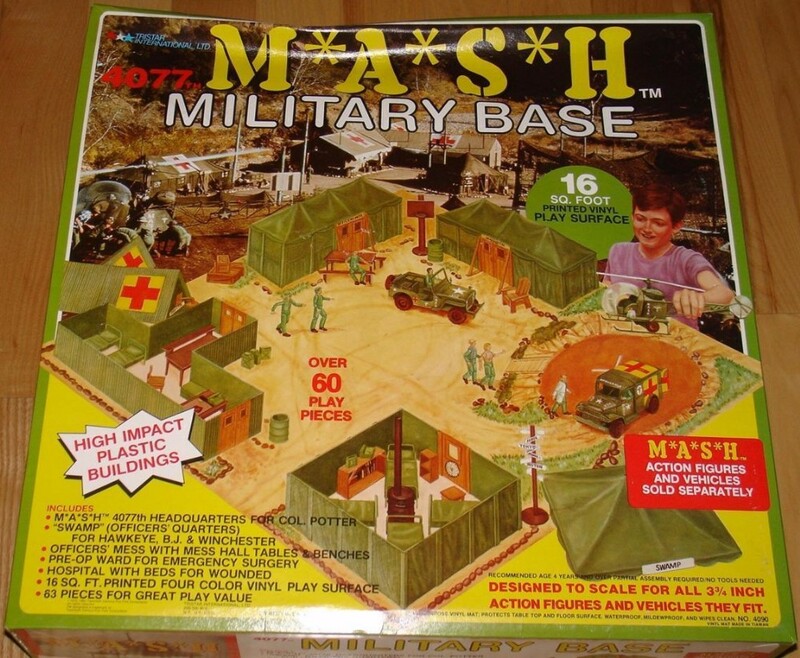 One of many M*A*S*H toys released between 1975 and 1983. My favorite was Zee Toys’ die-cast line—up until I saw the Tristar play set (16 square feet of playing surface!). The show was so popular with adults that kids were powerless to escape its draw, especially when there was only one TV in the house. See a nice write-up and detailed pics of the Tristar line, which included action figures and vehicles, at The Geeksverse.